Vintage twist on a classic diamond engagement ring! 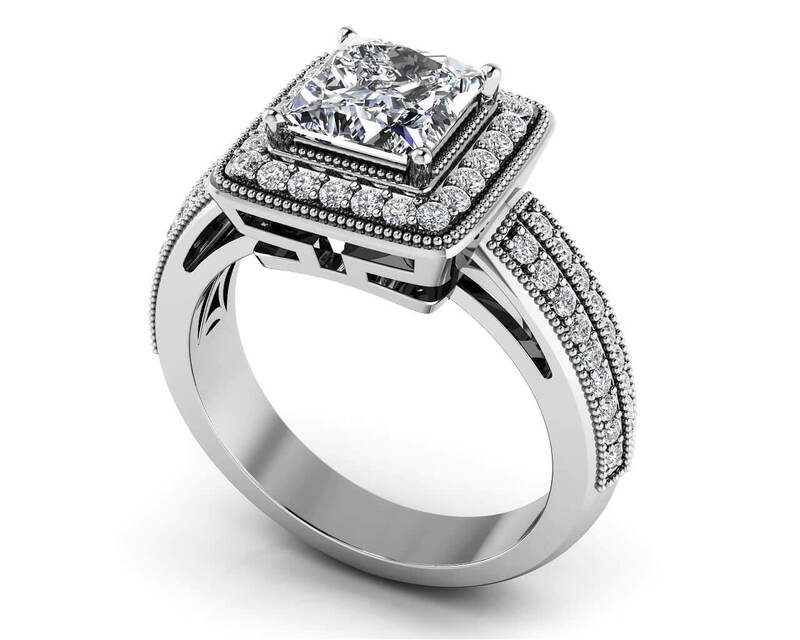 This engagement ring is sure to show that you notice the details in life and about her! Milgrain features on either sides of the diamond rows on both bands showcase a design that is sure to delight. 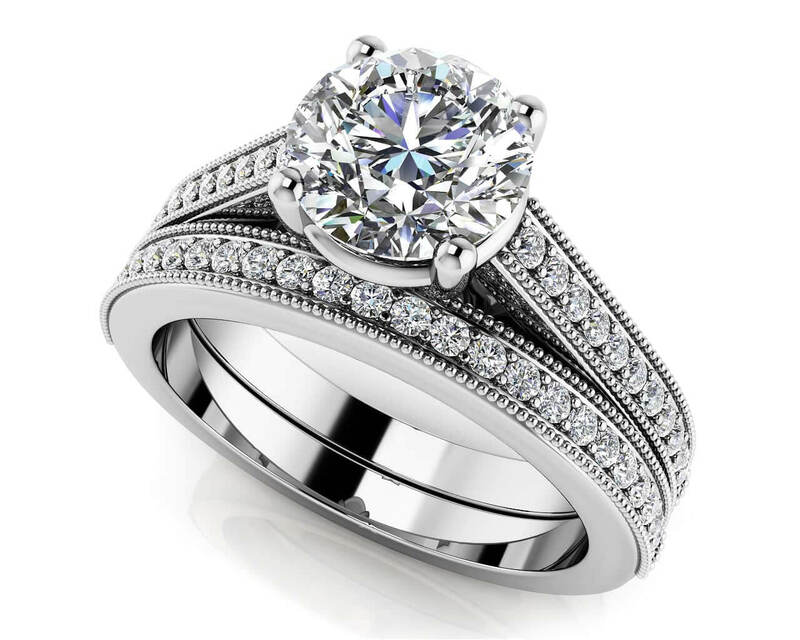 The center stone is a classic round diamond set by four prongs. The shank of each band has a row of round diamonds set along the top half. 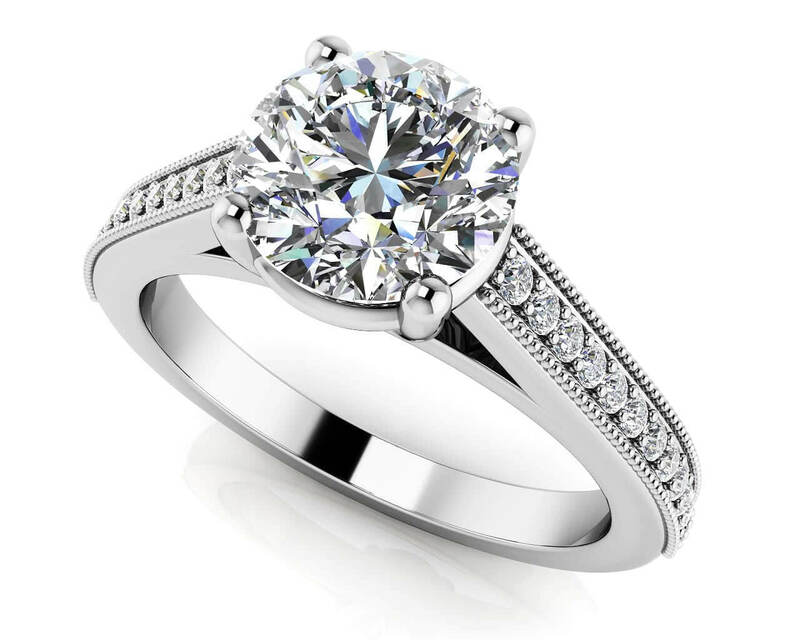 This milgrain detailed diamond engagement ring is elegant with a touch of vintage. Effective Carat Weight: 0.67 ct.
Stone Carat Weight: 24X.007 ct.